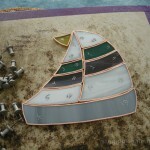 It has long been in my mind to create a pattern for stained glass sailboats. 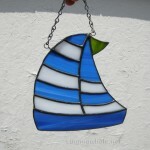 Many people love boats, love the water, and boats are a popular image and collectible. 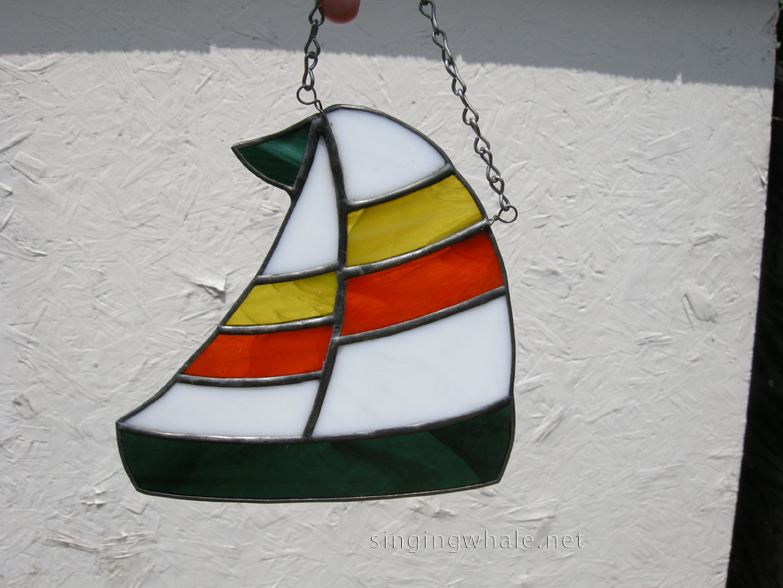 After sketching out some ideas for my own sailboat pattern, I also spent a few days looking at countless images of other stained glass sailboats, boats on the water, sails and sail colors. I wanted my pattern(s) to be unique and yet also easily recognizable. After all of that research, I opened up a new file in photoshop and started using the tools to create a neat pattern (ie better than my poorly hand drawn start up). After getting one to my satisfaction, I opted to modify it a little to allow for more color possibilities. The results are a pattern with a couple of stripes, and a pattern with more stripes. I made four initial samples, two in each pattern version. 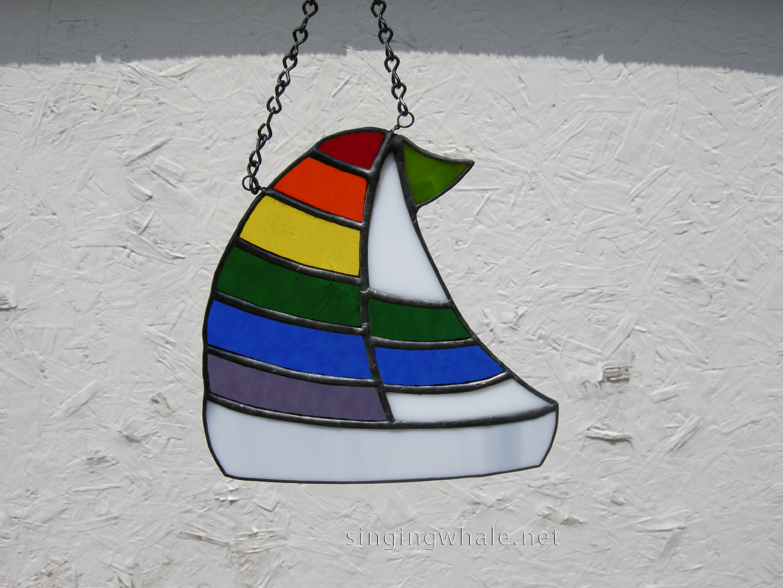 I am hoping these sailboats will resonate with anyone who enjoys being out on the water and wants a reminder of that in their own windows. 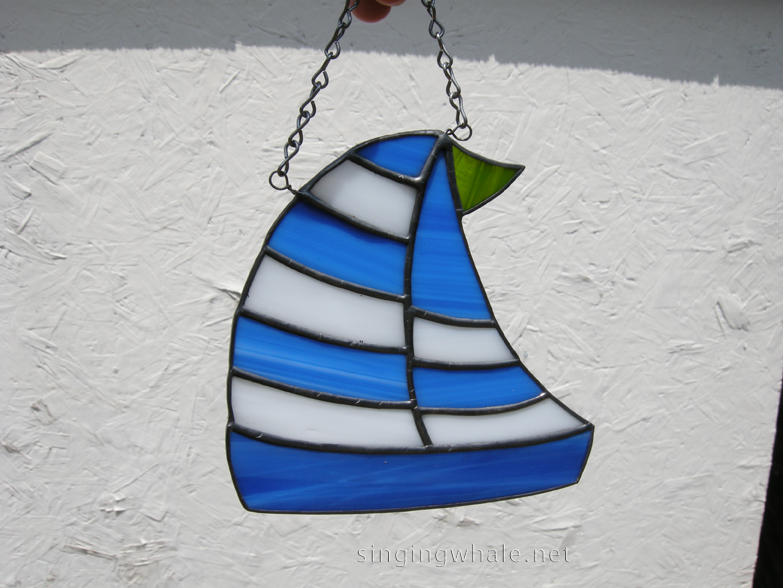 The resulting pieces came out pretty well, I believe, though I may tweak the multiple stripe pattern a little. 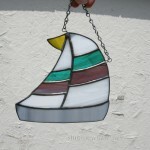 If I do, updated photos will be added here and to the sailboats album. 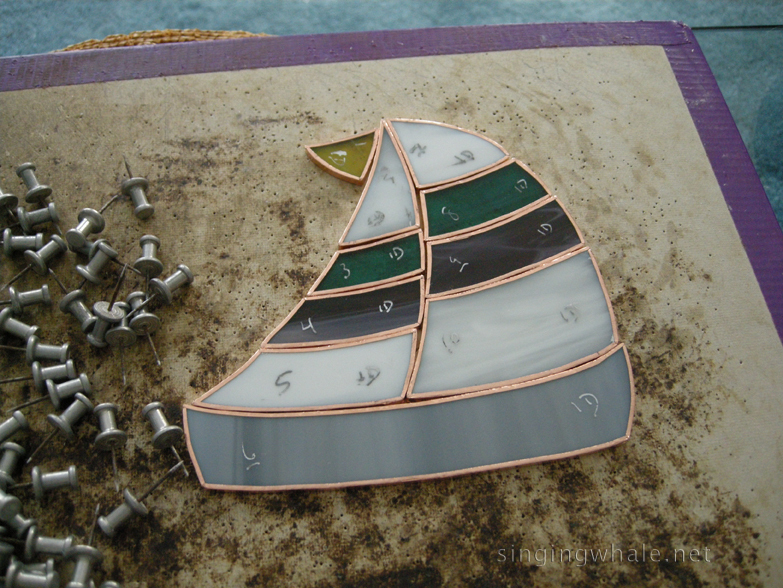 The finished pieces are the same size regardless of pattern. They measure about 5.5″ across by 5.25″ long. 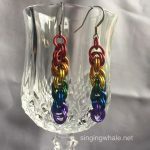 Pricing will be $30 for the pattern with the paired stripes, and $35 for the multi-stripe pattern. Shipping is extra. Hanging chain and suction cups are included. I love that the color possibilities are pretty much unlimited with both patterns. 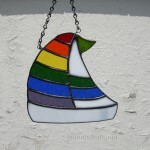 I have a feeling I will be spending a lot more time looking at photos of sails to get more ideas! I invite your feedback, and your orders. Thanks for reading! 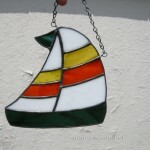 Check out the sailboats gallery for more photos. 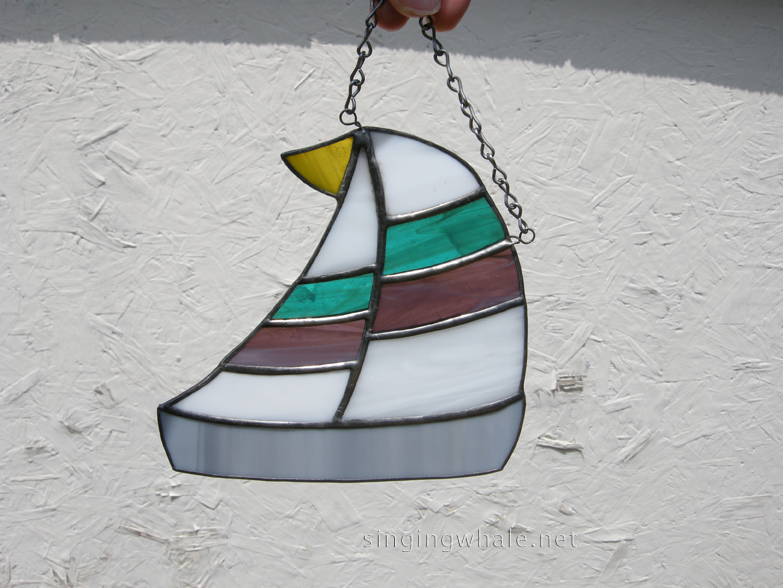 This entry was posted in new works and tagged sailboats, sails, stained glass boats, stained glass sailboats. Bookmark the permalink. I got here! I’m so proud! These are beautiful! I’m off to cardiac Rehab, just wanted to let you know I managed to overcome my tech non-savvy. So odd ~ I was great in MS-DOS. now, I’m a moron. Wonderful to meet you last Saturday; thank you for your kindness to an old baby boomer!